I can just imagine some of the faces a few of you are making as you read the title of this recipe. Beets?!? 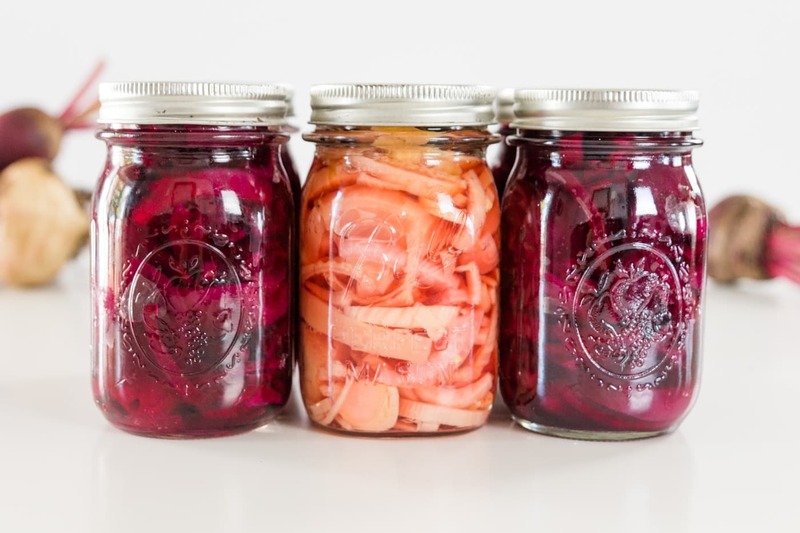 Wait, a pickled and canned beet recipe!?!? While this is a favorite canned good of mine and honestly, I know it’s not for everyone. On the flip side, I also know many of you love beets. Start by cooking the beets. Preparing a brine that will go over the beets and various add-ins. 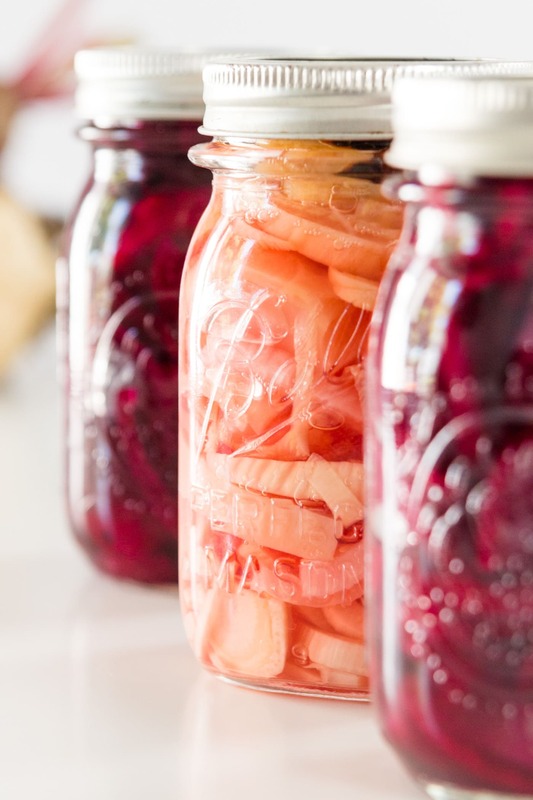 Fill up the jars with the beets and the whichever brining liquid you choose. Place the jars in a water bath to process for about 10 minutes. These are great all winter and will keep for a year in a cool dark place. Personally, I have a shelf in my basement where I store all of my canned goods, but a pantry will work really well too. 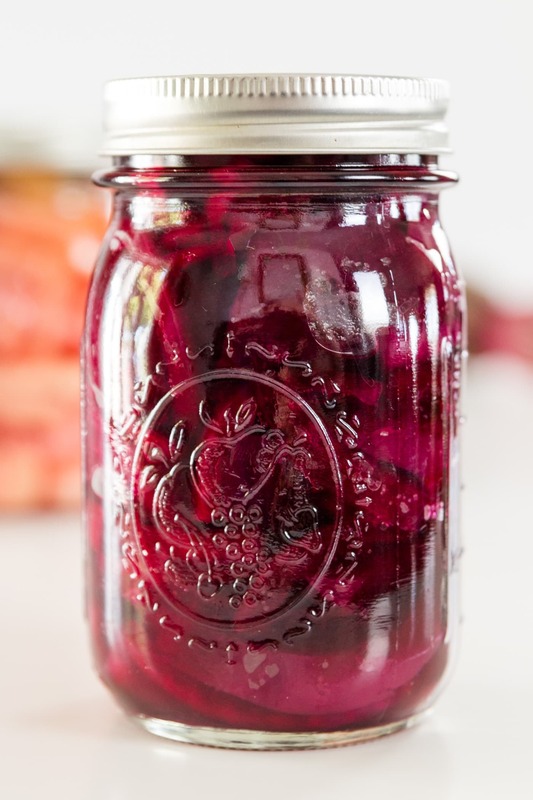 Luckily, these canned beets can be enjoyed as soon as two weeks after they’re made! Why not eat them the same day? Well, it’s a good idea to let the beets infuse the liquid from the brine so that it imparts the true flavors you’re shooting for. After you make this recipe, make sure to stop back and leave me a comment and recipe rating so I know if these worked for you! And make sure to tell me which one was your favorite. 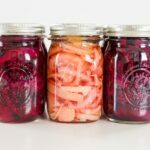 Three unique canned beet recipes will satisfy any pickle craving! A classic recipe, with fennel anise and rosemary and basil variations make these unique recipes to give a try! For each recipe, leave the beet roots and two inches of stem attached. Cook in boiling water until tender or a knife inserted into the beets meets little resistance. Place larger beets at the bottom of the kettle and smaller at the top. As the beets become cooked, remove and cool. Under cool running water, trim the beet roots, stems and remove the skins. Slice the beets to preferred size for eating and what fits into jars. Prepare the brine by bringing vinegar (or vinegars), water, sugar and salt to a boil on the stove. Keep at a simmer while filling the prepared jars. Adding onion (and fennel for one recipe) can be to desired taste. Personally, I love onion and fennel and am liberal with both. 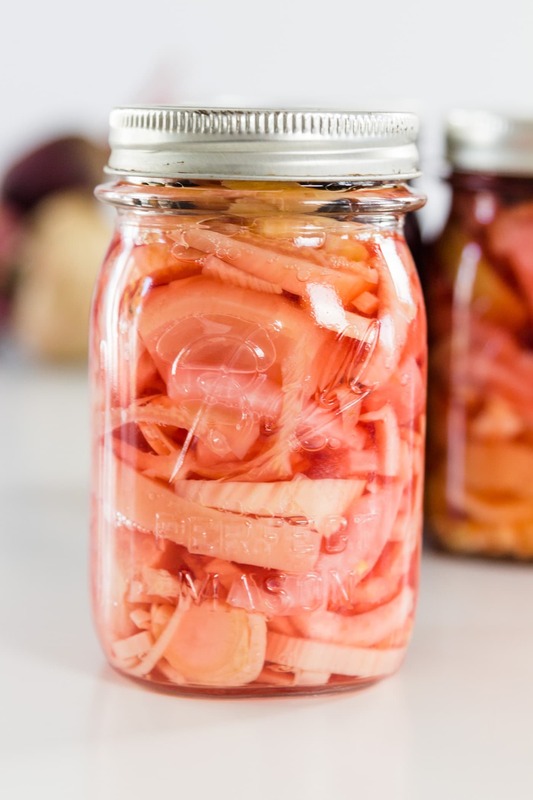 For the fennel recipe, add one star anise and a few peppercorns to the top of the filled jar. For the spiced rosemary recipe, add one sprig rosemary and one bay leaf to each jar before filling. 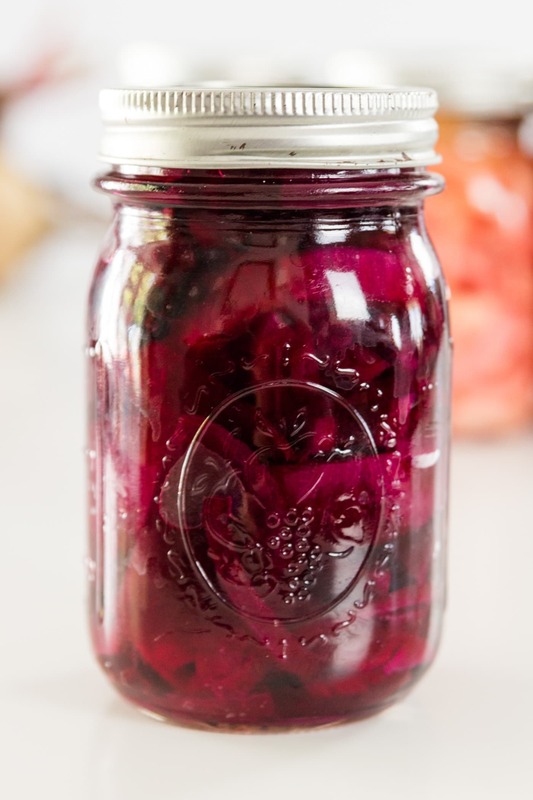 Once jars are filled, pour in simmering brine, leaving 1/4-inch of head space. Wipe jar rims with simmering water. Top with prepared lid and ring. Place in readied water bath for 10 minutes. After 10 minutes, remove from water bath and place on cooling rack for 24 hours. Hi Kaleb! These look really good, but how long do I let them sit before I can open the jars and eat them? 1 week? 3 weeks? The longer the better: 3 weeks is good. They will keep soaking in flavor!